Compare with all other image editing services options E-commerce product image editing is special and we have more clients in this business sector in all around the world. Outsource image started this service and delivering successful from past years at the beginning of this E-commerce business development in public. In world level marketing online e-commerce product selling is latest and famous trend now a day. E-commerce business is popularity now a day to sell all your online products through e-commerce method. In this, you should understand that your product must have clear quality, appearance, and impressive look. Our service provides you the perfect dealing with your clients immediately and you will get the soon buying. Outsource image is here to offer you the best service in e-commerce product image editing service in high quality. If you simply expose your product image by direct from the e-commerce product photography, there is no chance to cover more customers for your business. Because they won’t worry about quality they just care to take the best photography of product. 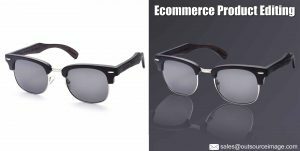 But E-commerce product photography needs this image editing techniques to create an awesome look to impress more visitors for your business. Simply we are her to change your online product visitors as a customer.